View of Dana Point Harbor with the ship "Spirit of Dana Point" berthed at the Ocean Institute in the foreground. The Strands is a luxury housing development built on an old public beach and surfer spot next to the Salt Creek and the Ritz Carlton. Lots are rectangular with modern houses commonly priced above $10,000,000.. The development has made it slightly more difficult for surfers to access the water, but there has been no noticeable decrease in the surfing population. Dana Point has hosted the Dana Point Concours d'Elegance since 2008. 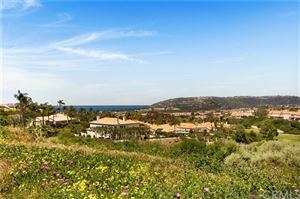 The event is located on the Monarch Beach Golf Links and supports various charities. 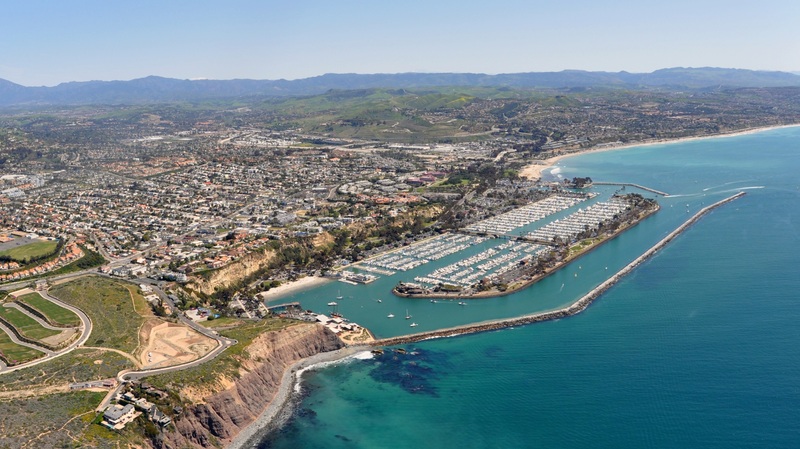 The Dana Point Grand Prix is an annual criterium bike race overlooking Dana Point Harbor. The course winds its way through downtown Dana Point into Heritage Park and the adjoining residential community with ocean views for participants and spectators before finishing on a long straightaway on PCH. The Dana Point Chamber of Commerce hosts the annual Turkey Trot, which includes a 5K, 10K and Kids’ Gobble Wobble race for ages 5–12, which was voted as a top destination for Thanksgiving by Fodor's Magazine. This event attracts more than 10,000 runners throughout the country and another 5,000 family and friends. The Dana Point Symphony presents classical music concerts with a 50-piece orchestra and local and international soloists.